We’ve had an exciting start to the year at dxw. 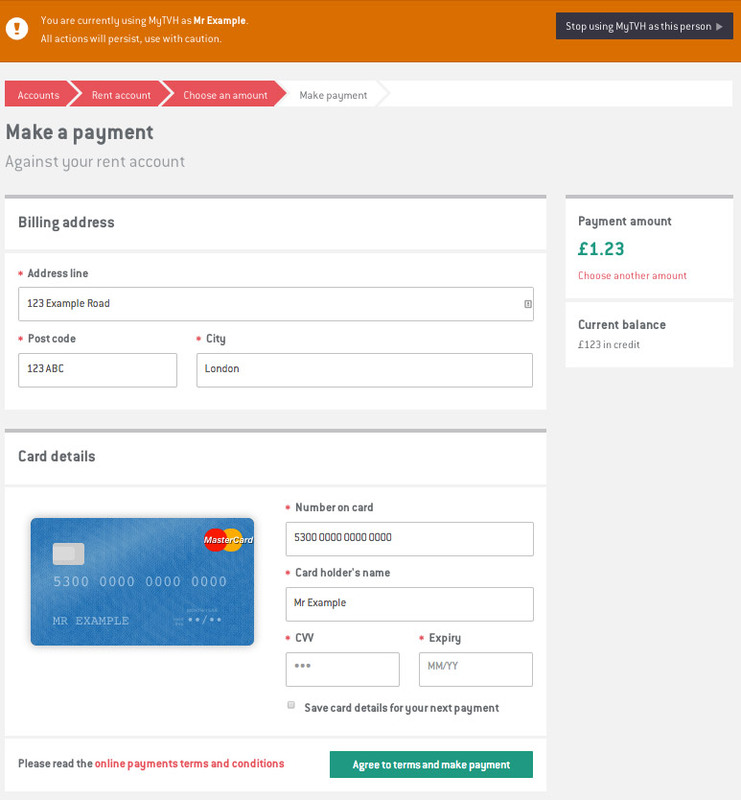 We’ve been working with Thames Valley Housing (TVH) to try and improve their online customer services and in December we switched on a new part of the service: online payments. TVH looks after over 14,500 homes for a really wide range of residents, from renters, shared ownership tenants and key workers. Now residents can now make online payments with the new online customer service MyTVH. Up till now TVH had been using an online payment service so awkward that very few residents chose to use it. Their previous payment gateway was a third party service which required users to remember a completely different set of credentials to pay for services. It also meant that TVH couldn’t integrate the payments gateway into their new website design, or get immediate feedback to users on their payments. Now with the new myPay service built by our Ruby on Rails team at dxw, TVH’s residents can make payments quickly and easily. They can use any device and will only have to login once to make payments and view their account information. As soon as users make a payment it is listed in their account. It’s already having a big impact. Since the start of December TVH residents and TVH staff have made more than 1400 payments. This is over 10 times more payments online in a month than throughout the whole of last year using the old payment system. One feature of the system that’s going particularly well is the ability for TVH agents to ‘masquerade’ as residents when using the service. Masquerading allows TVH’s staff to use myTVH from the perspective of a logged-in resident. In this way myPay isn’t only useful to those with internet access, residents can ring up TVH and an agent can manage their account and make payments on their behalf. We’ve found this really helpful for users who aren’t comfortable with making payments online, or for those who can’t always access the internet. It means that one system can handle payments for everyone, instead of having a separate tool for staff. It also allows agents to help out users if they have an problems with using the MyTVH site. This feature has allowed TVH to make sure that digital inclusion is always at the forefront of their online customer services. We’ll be posting more in the future about the features I mentioned above, particularly what we are learning about masquerading and payments as more and more residents start using TVH. Our user research experts will also be going into more detail about how we discover user needs. We’re excited about working with TVH in the new year to continue developing and improving the online customer service features. Next we’ll be looking at how repairs can be logged and responded to using the online service we have built.